which means soon flowers will bloom. Has anyone ever told you that you can balance a raw egg on end on the first day of spring? They think that somehow the pull of gravity is more equal on this day because the sun is more directly overhead. There is no scientific support for this. The egg legend apparently got its start in 1945 when a reporter for Life Magazine wrote a story about a Chinese ritual in which people stood eggs on end on the first day of spring. But the Chinese recognized the first day of spring in early February, or about six weeks before the spring equinox! Later, in 1983, one hundred New Yorkers got together on March 20 to balance eggs, and an article about the event appeared in the New Yorker magazine. A year later, five thousand New Yorkers repeated the tradition on the first day of spring, and the egg legend grew. 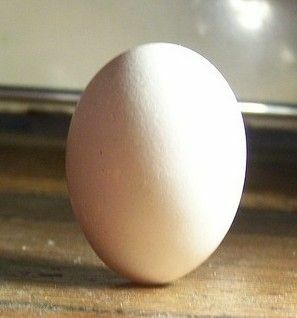 The truth is that if you can get a raw egg to balance upright on the spring equinox, you can get it to balance any other day of the year. The pull of gravity or the position of the sun in the sky has nothing to do with it. So don’t spread this unscientific rumor, or you’ll end up with egg on your face! 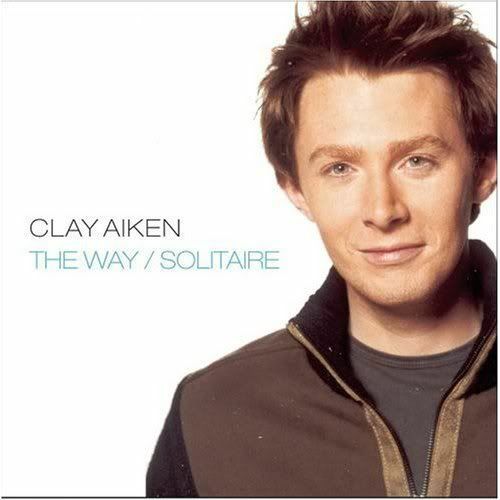 The Way/Solitaire was the second commercial double A-side CD single by Clay Aiken. The song was released on March 16, 2004 by RCA. The record peaked at number four on the Billboard Hot 100 and was certified platinum. The music video for The Way was directed by Diane Martel. Clay wanted to hire everyday people to play the couples in the video and turned down the traditional Hollywood types. I have always liked The Way and I thought the video was excellent. When was the last time you watched this video? "The Way" is one of the most romantic songs! Love Clay's video, I just viewed it recently on my list on YouTube. Nevertheless, I listened to the song again on CANN; wanted to start my day with Clay and my coffee! Thank you! I haven't seen this video for quite a while. I was good to watch it again and not only listen to Clay's singing, but enjoy the couple's interactions. Error: Error validating access token: Session has expired on Tuesday, 21-Aug-18 16:13:01 PDT. The current time is Thursday, 18-Apr-19 12:43:26 PDT.